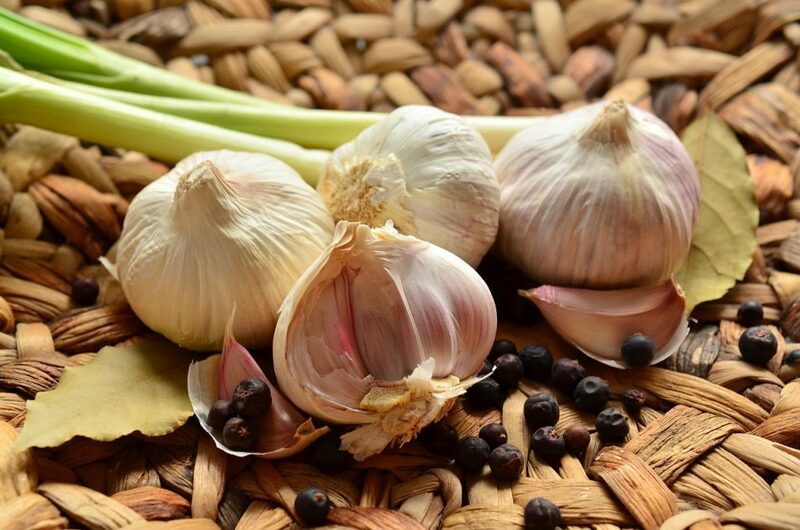 Garlic is part of the onion family and has been used for thousands of years both to enhance taste in cooking and, more interestingly in or case, as a medicine. It is a bulbous plant with a number of different types, which can be divided into hard and soft-neck types. The active chemical in garlic is Allicin and it is this that gives the distinctive smell.There are odourless garlic products, but these are not as effective as the odour is lost by ageing the garlic, with a fairly obvious effect on quality, from a medicinal perspective. The ageing process consists of storing garlic in ethanol for over a year, which must clearly have an impact on its active ingredients and their efficacy. and to reduce blood pressure. Garlic can be bought from most of the major suppliers, which also have clear feeding instructions. Garlic also contains Selenium and Sulphur, which has blood cleansing properties. It is also fed as a preventative measure and to promote overall wellbeing and support the body’s natural defences. It can also be used to help increase a horses appetite and make any other feed / supplement more palatable. Care must be taken as overfeeding can cause anaemia. A 2005 study (Pearson) conducted regarding garlic toxicity, fed large amounts of garlic (125g day for 5 weeks) before an adverse response had been noted. Typically, a daily feed would be 30mg /day. As with all herbal remedies, care must be taken regarding both dosage and the length of time the herb is administered. Most things are toxic in the wrong quantities or chronic feed. There have also been anecdotal reports of stomach issues caused by garlic killing off good bugs in the stomach.